TV tie-in Previous edition: Toronto: McClelland and Stewart, 1985. 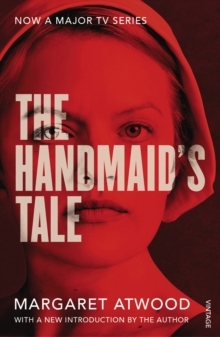 DISCOVER the BESTSELLING DYSTOPIAN NOVEL behind the AWARD-WINNING TV SERIES Second season now airing on Channel 4 starring Elisabeth MossThe official TV tie-in edition of The Handmaid's Tale, with a new introduction from Margaret Atwood`I believe in the resistance as I believe there can be no light without shadow; or rather, no shadow unless there is also light. 'Offred is a Handmaid in The Republic of Gilead, a religious totalitarian state in what was formerly known as the United States.